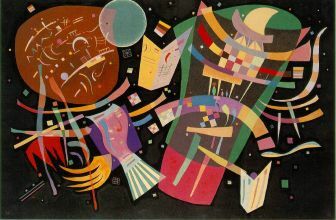 Wassily KandinskyDecember 16 O.S. 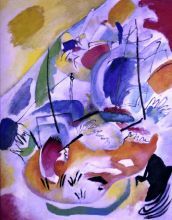 December 4] 1866 – December 13, 1944) was a Russian painter, printmaker and art theorist. 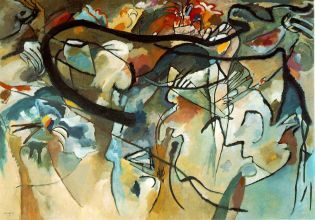 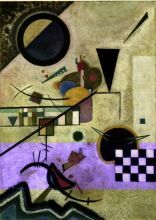 One of the most famous 20th-century artists, he is credited with painting the first modern abstract works. 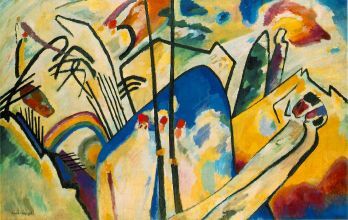 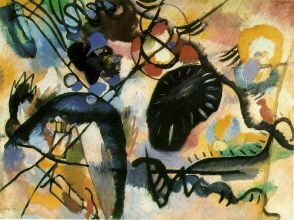 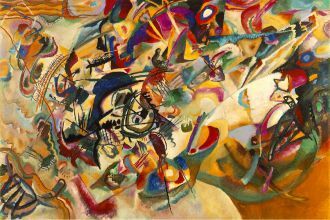 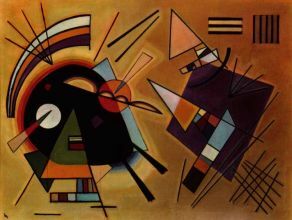 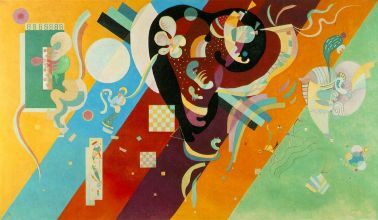 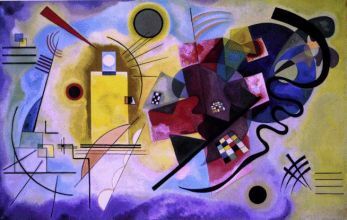 Born in Moscow, Kandinsky spent his childhood in Odessa. 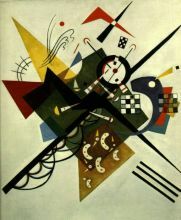 As a young man he enrolled at the University of Moscow and chose to study law and economics. 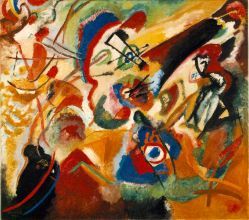 Quite successful in his profession—he was offered a professorship (chair of Roman Law) at the University of Dorpat—he started painting studies (life-drawing, sketching and anatomy) at the age of 30. 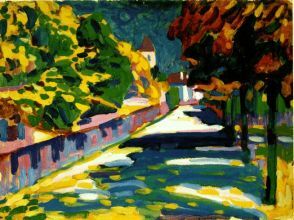 In 1896 he settled in Munich and studied at the Academy of Fine Arts, Munich. 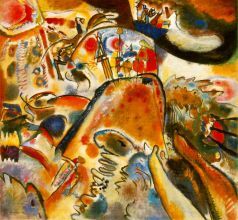 He went back to Moscow in 1914 after World War I started. 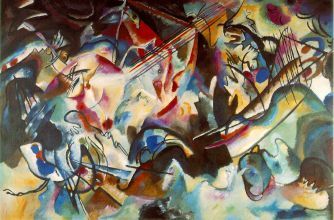 He was unsympathetic to the official theories on art in Moscow and returned to Germany in 1921. 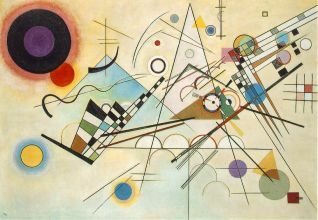 There he taught at the Bauhaus school of art and architecture from 1922 until the Nazis closed it in 1933. 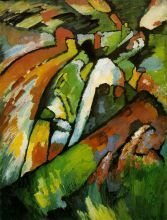 He then moved to France where he lived the rest of his life, and became a French citizen in 1939. 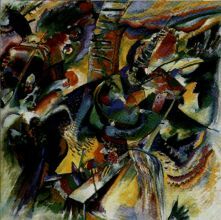 He died at Neuilly-sur-Seine in 1944.